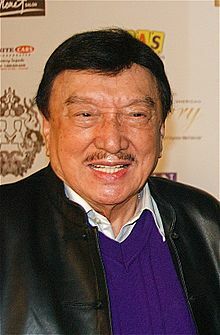 Dolphy, the Philippines "King of Comedy" passed away Tuesday evening July 10, 2012 at the age of 83, leaving behind his common law wife Zsa Zsa Padilla and 18 children. He died of Chronic Obstructive Pulmonary Disease (COPD ) after a months stay at Makati Medical Center's intensive Care unit (ICU). Dolphy has never married, for more than 20 years, he has been with the actress and singer Zsa Zsa Padilla. His kids are his pride and joy and he could easily name all 18 of them from oldest to the youngest and even the mothers name. 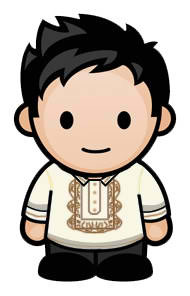 Engracia (Gracia) Dominguez — an actress he met during a stage show (separated in 1963), six children: Manny (Manny Boy), Salud (Sahlee), Rodolfo Jr. (Dolphy Jr.), Freddie (Baby), Edgar, and Raul (Rolly). Gloria Smith — an actress he met in 1956, four children: Mariquita (Kaye), Carlos, Geraldino (Dino), and Edwin. Baby Smith - an actress whose screen name was Pamela Ponti, four children: Ronaldo (Ronnie), Enrico (Eric), Madonna (Dana), and Jeffrey (Epi). Evangeline Tugalao - a nurse he met in the late 60s while shooting in a hospital, one child: Rommel. Alma Moreno - an actress he met in 1981, one child: Vandolph. I grew up watching his popular tv show "John and Marsha" with Nida Blanca, playing ashis wife, Maricel Soriano and Rollie Quizon as his children. And of course the show is not complete without the super rich Mother in Law, Dely Atay Atayan were money can be found scattered all over her houseare all trash and who would ever forget her one liner "Kaya ikaw John, magsumikap ka" at the end of every show. Home Along the Riles, was a hit show too wherein Claudine Barreto played as one of her children. He played a widow here with a Sister in law that is madly in love with him. Dolphy became famous for playing gay roles in Jack en Jill and Facifica Falayfay. I remember watching these movies on my younger years. His acting was so convincing as a real gay. His a good comedian and artist. He's really great and may he rest in peace. Yahoo! "E-Mail Account Exceeded Phishing Scam"